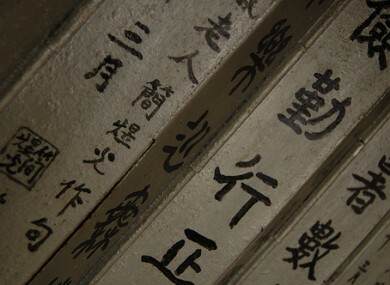 Should we all be learning Chinese? Treasury Holdings co-founder says Irish students should be learning a Chinese language – Enda Kenny says it’s up to schools. What do you say? THERE WAS A lot of talk about the world embracing Ireland at today’s Global Irish Economic Forum – but should we be embracing Chinese? And more specifically, a Chinese language? Richard Barrett, who set up Treasury Holdings with Johnny Ronan, suggested from the audience that Irish people should be learning Chinese to equip us to fully embrace the possibilities for trade with the surging Asian economy. (We are presuming he means a specific Chinese language such as Mandarin, Wu, Cantoneses or Min – there are around a score regional groups of Chinese, never mind the dialects). Taoiseach Enda Kenny, not at all stumped by the question this morning, told Barrett he had noticed a young man “in an elevator the other day with headphones on”. Kenny asked him if he was listening to the radio. “No, I’m learning Chinese,” the young man apparently told the Taoiseach. However, despite this encouraging sign of a Celtic cub embracing Chinese, said Kenny, it was a very difficult language to learn. “It is not as simple as learning a language with Celtic roots,” he said, concluding that while it might be easy enough to grasp a conversational level of spoken Chinese, it would take “years” to learn Chinese writing. He said that it was “up to schools” what secondary languages they decide to teach. Email “Should we all be learning Chinese?”. Feedback on “Should we all be learning Chinese?”.